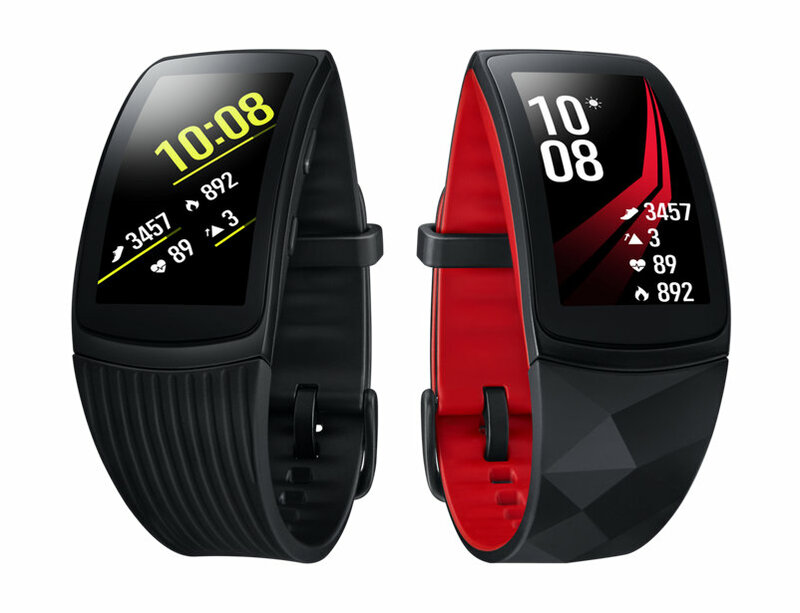 Samsung's line of wearable fitness trackers and smartwatches gains a new device. The Gear Fit 2 Pro is a replacement for the Gear Fit 2 fitness tracker that was released last year. Most notably, the Gear Fit 2 Pro is heavily water resistant. The new fitness tracker is rated for depths up to 50m or 164 feet. Wearing the tracker to count laps in a pool or logging long swims is now a viable option. Samsung has partnered up with Speedo who will be providing an app for tracking aquatics activities. A new strap and latch have been designed for this revision. A tighter and more secure fit can be found using the new latching system presumably so that you don't accidentally lose during any intense activities. There are not any other new notable features to mention, but pricing is expected to be around $200, only a $20 increase from the previous model. A curved AMOLED display is still plenty bright for outdoor viewing and it still includes GPS so that running and hiking can be tracked without the need to carry a paired smartphone. 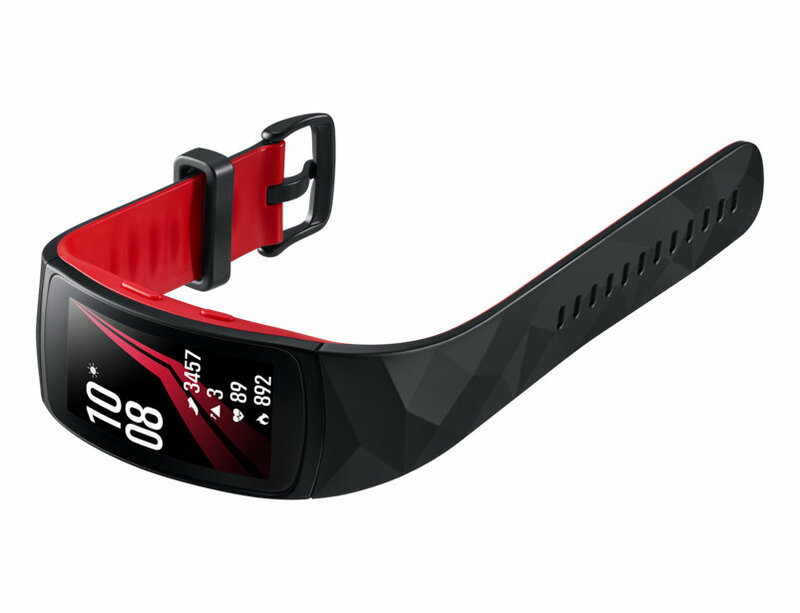 As pictured above, the Gear Fit 2 Pro will be available in black and red variants. Bluetooth and heart rate monitoring are both carried over from the previous Gear Fit 2. Availability for purchase is still unknown, but worldwide availability should be expected soon since the product is already on Samsung's website. Got to stick with my Timex .... just too cheap and dependable to throw away or trade in! Now these are wearables that I can agree with although the swimming data it gathers would be useless to me despite the fact that I own a swimming pool, I never use it anymore. The swimming data it gathers does make sense though, they supposed to be multi sport, multi activity trackers and one can't engage in all the disciplines it offers... unless you're Superman.